(or just simply trombones!) 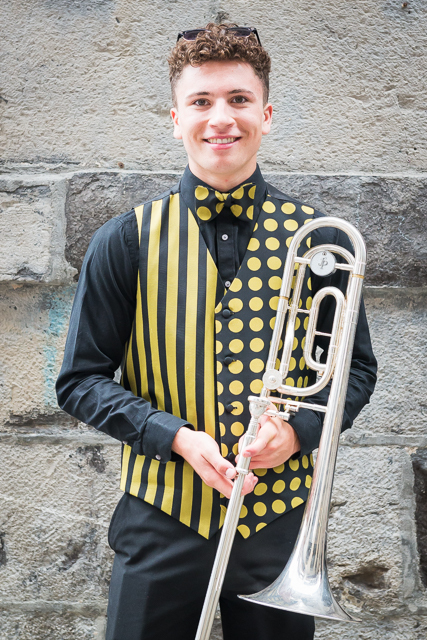 Like the tenor horn, they produce a sound that is quite unlike anything else. Quite what they do in the band depends very much on the composer of the piece being played, as some composers like to feature them, but some prefer to keep them hidden! 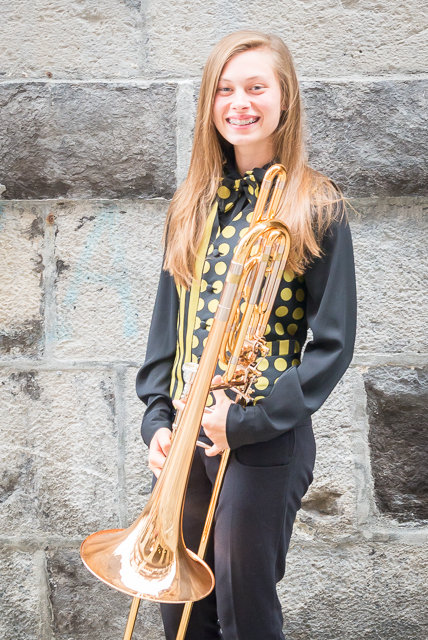 The principal trombone, like the other principals, often has solos, but more often than not the trombones simply contribute to the overall sound "picture". One thing they do have to be very careful about however is - for obvious reasons - exactly where they sit in relation to the row in front of them! Sitting alongside the other trombones, the bass trombone really does have a sound all of its own! It can play very low notes indeed, but they somehow just don't sound deep - they are more like a crackle! We currently have three bass trombones in our band, but most bands only have one.